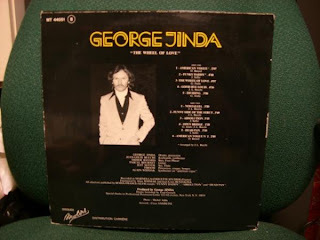 Very rare debut solo album from Hungarian drummer Jinda, who was a widely travelled player in the 70's French prog scene and, at the time of this record, a member of Yochk'o Seffer's post-Magma unit Speed Limit. Seffer's playing on this one too, alongside Heldon bassist Didier Batard. Quite a cast! 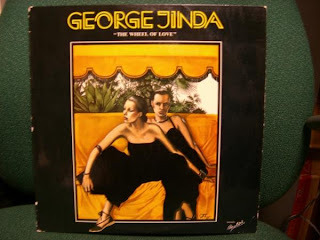 The Wheel Of Love is a furious and sadly rather forgotten zeuhl gem that splits the difference between Zao and (especially) Magma keyboardist Benoit Widemann's solo debut "Stress" in it's mix of airy lyricism and slightly funk inflected zeuhl fury. Yep, zeuhl gem it is! Thanks so much for this! great one. like the funk influence. cool cover art. thanks. you will find another zeuhl rarity. The link is invalid, is possible reupload the post? ah yeah mate, ah yeah!